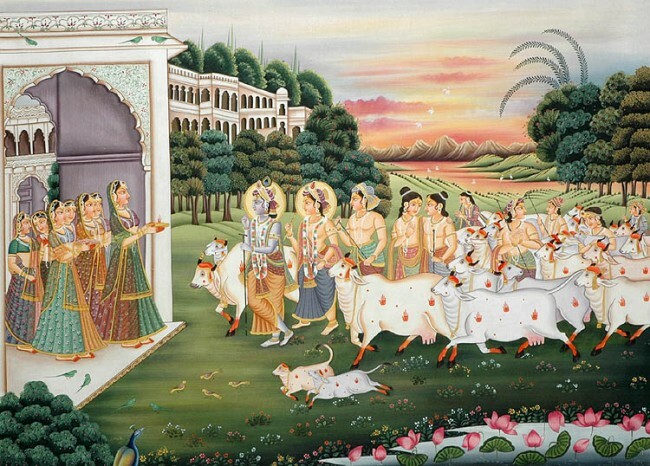 His Divine Grace A.C. Bhaktivedanta Swami Prabhupada wanted to establish self-sufficient farm communities and cow sanctuaries all over the world. But where is that farm which is focused purely on Prabhupada? Prabhupada left this world in 1977, but his compassionate divine vibration is eternally alive. He knew living conditions would become harsh, the food, land, air & water would become polluted, we would suffer with so many diseases, we can’t trust the government, oil would become scarce, it’s very hard to continue a materialistic way of life without having to pay for it with so much suffering and hardship for ourselves, other species and mother earth and that many people would lose their jobs due do economic collapse. Prabhupada teaches us how to create that peaceful place where ever we are. Prabhupada teaches us the way to sustain a peaceful, clean & pure lifestyle, within & without. Consciousness! Where are you? Prabhupada shows us the way, if we will simply come together and hear him. Focused on Prabhupada, he will guide us and together we will help each other gently towards a more simple and self-sustainable way of living. Krishna consciousness community. One is starting one on the Big Island, Hawaii!!! A dream come true, and it’s happeninig!! !